If you receive food assistance from our agency — and one in six in the county do — you’ll need to know about an important change coming to the program. Beginning Friday, the Ohio Department of Job and Family Services is changing the time frame for dispersing benefits. Previously, all 140,000 Hamilton County residents received their food benefits, loaded to their Ohio Directional Card, within the first 10 days the month. Going forward, the benefits will be dispersed over a 20-day period. But if you were to lose eligibility for even a short time, or move, you might have to wait longer than 30 days for your next round of assistance to load. For example, if you previously received your benefits on the first day of the month, when you re-enroll, you may find that you have now been assigned the 20th day of the month for your card to load. So you might go as long as 50 days — instead of the normal 30 — in between loads on your card. This would only be a problem for the first month back. After that, you would be back on a regular schedule. Why the change? Grocers for some time have said a longer window for dispersing benefits would help them be able to staff more evenly throughout the month and to be able to keep a more steady supply of quality food. I was very happy to see this editorial in today’s Enquirer. We launched that campaign a few years ago, but it is an extremely important topic that we should come back to on a regular basis. We need to update the numbers, but as you will see from the Choose Your Partner Carefully website linked above and the Enquirer editorial, we have traditionally outpaced the nation when it comes to boyfriends harming children. Mothers need to understand that just because he loves you, doesn’t mean he will love your child. Please visit the website and educate yourself, and thanks again to the Enquirer for a wonderful editorial. Below is my column from our recent Update newsletter. If you are not receiving our newsletter, please visit our website, hcjfs.org, and find the sign up form under the Public header. It is a good way to keep up on what is going on at JFS. Hamilton County Job and Family Services has a $1.8 billion impact on the local economy. That is what was going through my mind as I reviewed the number of Medicaid applications we have received under the recent expansion. If we receive as many as predicted – 42,000 – that will push us above the 200,000 recipient mark. That is a full one quarter of the county’s 800,000 residents. But the numbers behind the numbers are the dollars attached to those recipients. Because they have health care insurance, they are able to spend money at local doctors’ offices, clinics and hospitals. Last year, $1.3 billion in Medicaid was spent at local medical facilities. JFS also accounted for $232 million in food assistance spent at local grocers. Another nearly $100 million was spent at local child care centers and homes. Various other programs account for nearly $200 million in spending at local businesses. This is something I try to keep in mind when going about the day-to-day business of running JFS. Our reach goes far beyond the 275,000 people involved in a child support case, or the 167,000 Medicaid recipients or the 145,000 food assistance recipients. Yes, we help 17,000 abused children a year, but that help extends beyond those children to doctors who heal their wounds, psychologists who help them become whole and social service providers who help meet their other needs. It is hard to say exactly how many people we serve, because many of the recipients are duplicated across programs. My guess is we directly serve about 500,000 of the county’s 800,000 residents. But if you consider the dollars that reach beyond those half million, it is a good bet there are very few in this community who do not benefit from the work we do. 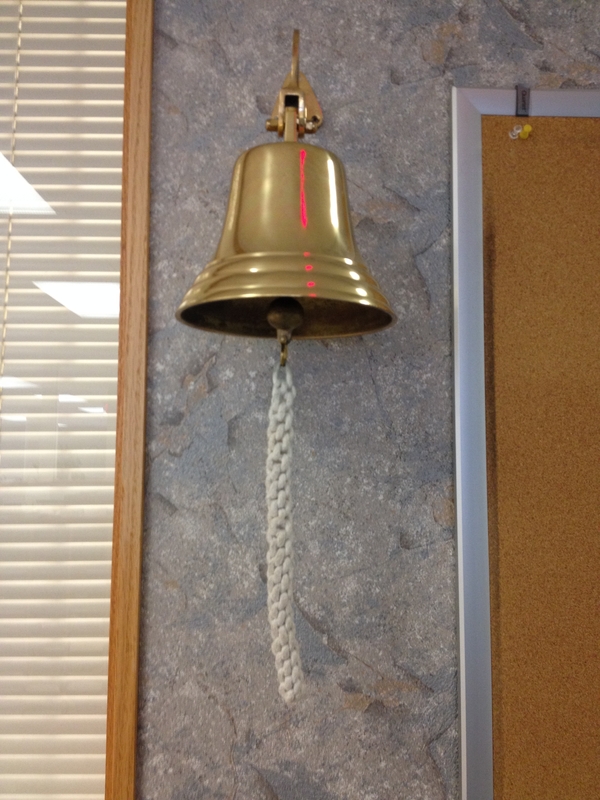 This bell rings at the SuperJobs Center with each new job! I looked over some of our numbers from the SuperJobs Center today and I am very happy with the work being done there. Our employees are to be commended for their outstanding work. You will recall that we took over operation of the SuperJobs Center in July 2012. After Workforce Investment Act funds were cut by 45 percent in 2012, the city of Cincinnati and Hamilton County sought a more efficient provider to run the SuperJobs Center. 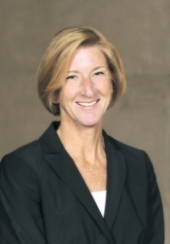 Hamilton County Job and Family Services was selected and given the mandate of spending $500,000 less on administrative costs, instead using that money for direct services to benefit local workers and businesses. Increase spending on direct services to consumers by $500,000 to a total $1,330,000. Spending on direct services has increased to $1,732,789. The increases have been in two categories: $1,531,172 on additional training and subsidies and an additional $201,617 on transportation and work supports. Meet or exceed state and federal performance measures. In the last report, SuperJobs met four state measures and exceeded two. Four of the six increased relative to the prior quarter. Five of the six increased compare to one year prior. I am very proud of the work we do with Child Support collection. We have approximately 84,000 active child support cases, and we know there is at least a mother, father and one child on each case, so it is safe to say a third of Hamilton County’s 800,000 residents are involved in a child support case. We collected more than $130 million in child support last year, ranking first in the state for effectiveness among metropolitan counties. Cost effectiveness is calculated by dividing the amount collected by the number of workers who collected it. Hamilton County, which manages its 84,000 cases with only 43 child support technicians, also ranked second overall among all counties for collections per full-time worker. The total collected is almost a half million dollars more than the previous year. This is the third straight year Hamilton County has been recognized as having the highest collections per full-time worker in the state. Most importantly, the money we collect helps families. It puts a roof over a child’s head and food on the table. It pays the utility bills. It buys school clothes. Excellent work, Child Support staff! You are helping make our community a better place to live. Like everyone else, I like to make New Year’s resolutions. There is no better time to take stock of your life and set new goals for yourself. I do the same with our organization. While we are constantly looking at ways to improve how we serve the public, the annual turning of the calendar is a great time to publicize our plans for organizational improvement. This year, the number one goal at JFS will be to improve the customer experience. We want to make the experience with us as quick and simple as possible. I realize that with the volume we serve – we serve more than half a million people in this community annually – “quick and simple” is a relative term. Still, I would like it to be less cumbersome. Another major goal is to oversee the expansion of Medicaid and the implementation of the Ohio Integrated Eligibility System (the computer system used to process public assistance applications). The expansion of Medicaid is expected to add 42,000 more people to our caseloads, pushing us to over 200,000 recipients, which is one fourth of all county residents. These two projects together will take up much agency time and effort in 2014. Finally, we are going to embark on an education campaign with the community that details the work we do and how we help this community. I worry sometimes that message gets lost. We are an agency that helps, whether it is protecting abused children and the elderly, ensuring children receive the financial support they deserve, providing a lifeline during times of trouble, assisting with the cost of child care so a parent can work or aiding in a job search. We do good work here and I want the public to know that. That is our plan for 2014. Let’s make it a great year!